With Pennsylvania continuing to be unable to function on a basic level — schools continue to be underfunded, our infrastructure continues to crumble from years of neglect and increasingly even State Police coverage is threatened for local communities — there was an opportunity for a bold, new vision to really address the commonwealth’s problems by a gubernatorial candidate this year. Unfortunately, Pennsylvania voters get to pick from Gov. 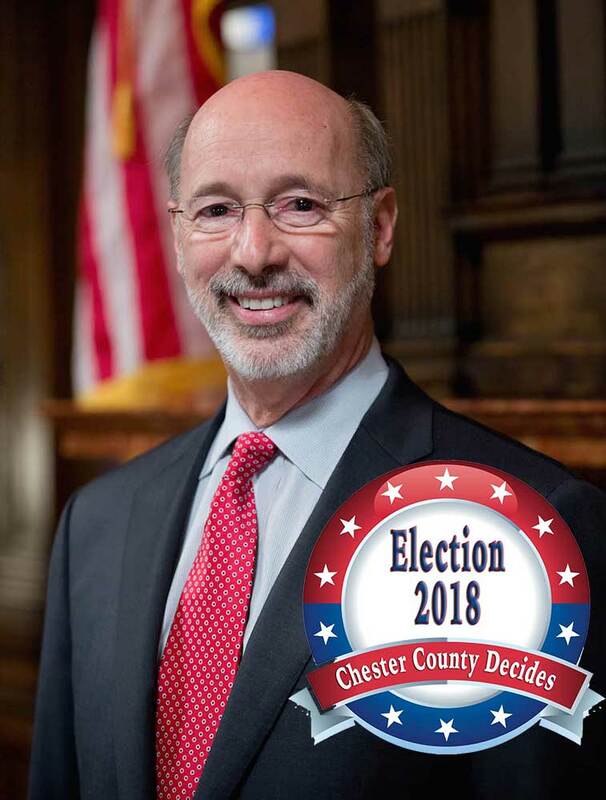 Tom Wolf, who is somewhat forced to defend the status quo as a sitting governor with a legislature that has completely refused to work with him, or Republican Scott Wagner who has either trotted out a greatest hits collection of policy ideas from the GOP fringe or attempting to portray himself as a Donald Trump true believer. Additionally, Wagner’s lack of discipline — his propensity for comments (the “young and naive” faux pas would prove to be just a sample) that go well beyond the pale make one wonder how he ever got elected as a state Senator, let alone be a party’s nominee for Governor — has to make one wonder whether voters would be inviting four years of chaos in Harrisburg if he were elected. Additionally, hijinks such as attacking fellow “establishment Republicans” for allegedly sabotaging his campaign and losing more than $500,000 of campaign money (admittedly, money that Wagner loaned to the campaign) in risky investments point to deeper issues with judgment that should concern voters. Now that’s not to say Wolf was covered himself in glory. Yes, he’s had to work with a Republican majority in the legislature that continues to ignore the fact that the state government is woefully underfunded. And yes, he’s acted like a grown up and done little, if anything, to embarrass the residents of the state. Still, he failed to make a strong enough case for boosting state spending — and yes additional revenue — to pay for education, which increasingly falls on the shoulders of property owners (and renters) because the state legislature refuses to meet its obligations. Keep in mind virtually all of the local school, county and municipal tax hikes over the last 30 years are directly tied to inaction by the state government and your local state legislators. Additionally, Wolf has failed to lead on the crucial issue of the Mariner East II pipeline — while there are many good economic reasons to support the project, poor oversight and blatant mismanagement and disingenuousness by Sunoco have put too many residents — including many in Chester County — at risk in their homes, schools and workplaces. Wolf had the power to stand up, push Sunoco to act responsibly and make sure safety ruled over profit, but he has not. Lastly, we are disappointed that Wolf declined to have more than one debate with Wagner. Traditionally, three are held each year — and the single event held this year was a hot mess. One would think Wolf would be eager to get Wagner on a stage and display the contrast between cool, steady leadership and an erratic hothead. While this isn’t a “hold your nose and vote” situation, it’s hard to give Wolf much more than a somewhat lukewarm endorsement. He’s been solid, but not spectacular in his first four years. Granted, with more Democrats in the legislature, his record might well be much stronger, but as all political leaders know, you have to play the hand you are dealt and Wolf has folded too often. 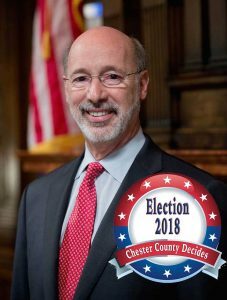 The Times endorses Tom Wolf for a second term as Governor of Pennsylvania.